For a long time, this cowl was truly cursed. It refused to be what I wanted it to be. I knitted and ripped and knitted and ripped, and then, whammo, blammo! With Kat’s council, something finally worked, and I must admit, I’m quite pleased with the result. There’s a spooky spider cable on a background of spider webby yarn overs and dropped stitches. Make this for a special someone for Halloween, or any time of year. 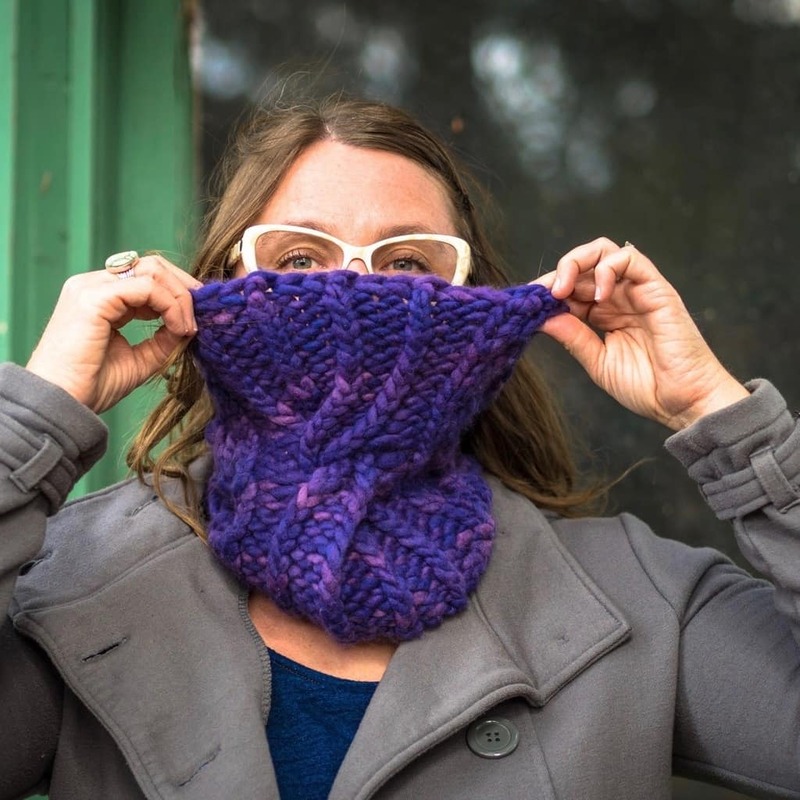 In super bulky yarn, it’s a really quick knit and a pleasurable one, as well (believe me, I’ve made this cowl a quadrillion times). Finished Measurements: 12” tall, 20″ circumference. Measured after blocking. Yarn: approximately 65 yards super bulky weight yarn. I used Malabrigo Rasta, colorway Violetas Africanas.. Needles: US17/12mm needle for circular knitting, or size needed to get gauge. 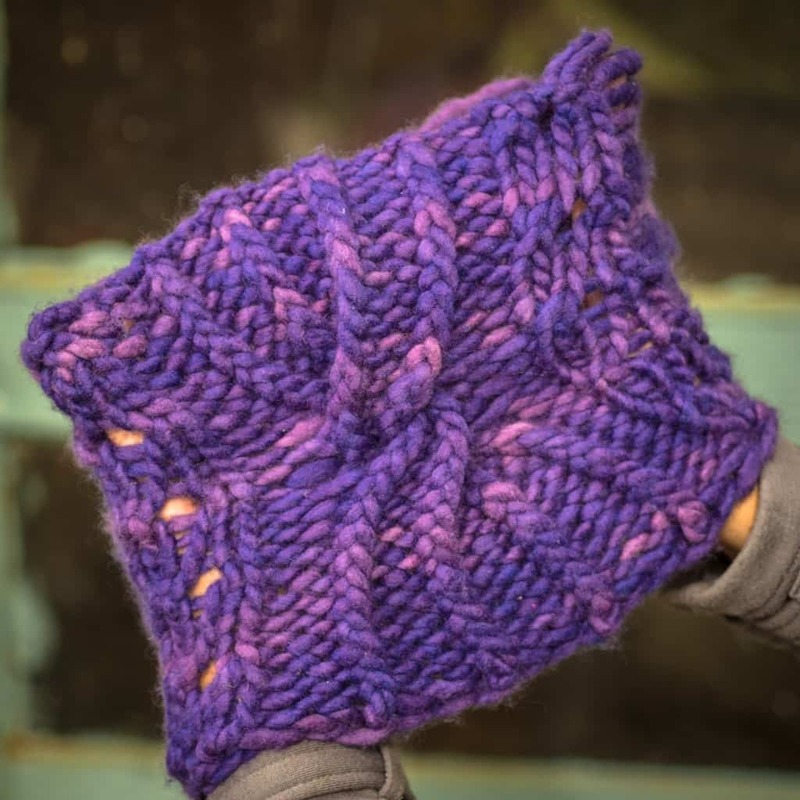 Gauge: 8 sts = 4”/10 cm in stockinette stitch, measured after blocking.